Beautiful You: Boohoo Spring Fashion Picks 2015! 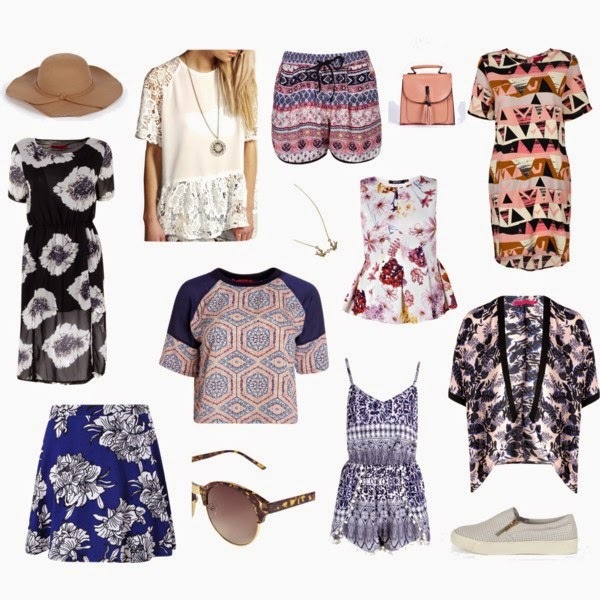 Boohoo Spring Fashion Picks 2015! I don't know about all of you but, ever since the weather has been getting nicer, I have been lusting after summer clothes online. I currently cannot afford to update my summer wardrobe but there is no harm in window shopping. Currently my favourite online shop is Boohoo.com, I've bought many things from there and they all seem to fit really nice and at an affordable price. I thought that I would be nice to share with you some of my top picks for spring from their website! First off, I chose a lot of floral patterns that had black incorporated in them. This means that you would be able to wear them with tights which is perfect for this time of the year but you can take them through to summer without tights. Also it is clear from this set that I am a massive fan of peplum tops, this shaped top really suits my figure so I always try and find new ones when it comes to the summer. I first saw the white one in Zoella's Lookbook and I've wanted it ever since but obviously I instantly went out of stock and I haven't been able to find anything like it. The second one is from the boohoo plus size range which I am too small for but I think the pattern is beautiful! I had to feature a kimono when talking about spring/summer fashion because these are a huge staple for me. I love being able to throw on a plain top with a flowery kimono and instantly look like you've tried with your outfit. Hats, sunglasses and jewellery are again a definite must for spring and summer and in my opinion you can never have too many. I love the tan colour of this hat as it is a little less harsh than black and is easy to match with so many colours! Lastly, I included a playsuit in the set because I am determined to wear more of them this year, I have one that I actually feel comfortable in and I don't mind wearing but I would like to get a few more however I have never found another one that suits my figure. Therefore if you are on the curvier side and you have found any please let me know because I am trying to set outside my comfort zone this year! So those are my top picks for the up coming seasons and what I am going to be trying to wear. Let me know what you think about those that I pick and leave some comments below of what you'll be wearing this spring and summer. I have a break from university in the upcoming weeks so I am going to try and get back into blogging because I really do miss it. So with that being said, I hope you enjoyed this post and I shall see you all soon!